This is the South Texas Project electric generating station near Bay City. The state is now examining the possibility of creating a high-level nuclear waste dump. The idea raises environmental concerns. Photo: Express-News File Photo / San Antonio Express-NewsPhoto By Express-News file photo This is the South Texas Project electric generating station near Bay City. The state is now examining the possibility of creating a high-level nuclear waste dump. The idea raises environmental concerns. SAN ANTONIO — Gov. Rick Perry is pushing for a high-level radioactive waste facility. And state Speaker Joe Straus has asked a House committee to wrestle with the issue of creating such a facility — perhaps in West Texas. There are perfectly legitimate concerns attached; each one must be satisfactorily answered. If they can’t be, Texas simply shouldn’t allow such a facility. Can it be safely stored? We’re not talking about low-level radioactive waste, a site for which Texas already has. High-level radioactive waste generally involves spent nuclear rods, potentially deadly even with brief exposure. Safety must be as ironclad a guarantee as is technologically possible given the life of this waste — thousands of years. No corners should be cut. Can it be safely transported? Accidents and human error happen, and when they do, they will potentially affect even more people during waste transport than at a facility at a remote site. But a site in West Texas — which is widely viewed as the likely location if one is built — likely means transporting waste on Interstate 10, right through San Antonio and other population centers. Ditto, if by rail. The industry contends that casks developed for transport are safe. The committee must test that. Can the waste be stored as effectively where it is produced? In Texas, this would be at each of the state’s four nuclear plants. Environmentalists credibly argue that dry cask storage at nuclear plants cuts out the middle-man — transportation. If this is the case, why create a large site with a lot of waste? To endanger only one part of the state rather than four? Will safety or economic impact be the trumping factor? Environmentalists fear that Straus’ charge to the committee involves looking only at the economic impact of a facility. Such a site will likely be privately operated like the existing low-level site in Andrews County, run by Dallas-based Waste Control Specialists. If this site is expanded or another picked, this means needed jobs and tax revenue. Environmental issues will be considered, the Speaker’s Office said. 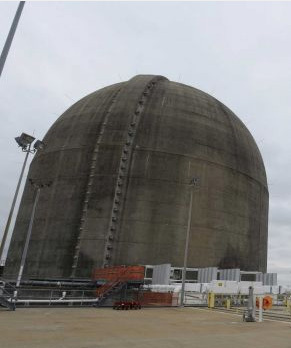 "This charge was referred to the Committee on Environmental Regulation so they can conduct a thorough review for possible nuclear storage and will hear from all stakeholders to ensure that environmental, economic and regulatory issues are considered," according to a statement provided to the Editorial Board. Will the decision be based on need or on the clout of political heavyweights? There is the need. Like it or not, the state has four nuclear plants. These produce waste. If we use the power, we have to live and deal with the waste also generated. But it’s been widely noted that Harold Simmons, the late owner of Waste Control Specialists, gave Perry roughly $3 million — some going to Perry’s campaign committee, other amounts to the Republican Governors Association when the governor was raising money for it. Perry has been pushing for this high-level radioactive waste site. Part of the task for Straus’ committee is to determine whose need is being served here. Will this be for Texas-only waste or will it take other states’ waste as well? The federal government has botched identification and creation of a national repository. The Obama administration has given up on Yucca Mountain in Nevada. And a federal court in November, noting the disarray on this issue, told the feds they could no longer collect fees from utilities for waste storage since there is no federal facility. States have formed compacts with other states for storage of low-level waste. So, is Texas or a private entity operating a state site maneuvering for the state to become a national repository? And if not, are they positioning themselves to take other states’ waste? The answer has to be "no" to both but particularly on the first proposition. Straus’ committee should consider these and all other pertinent factors.